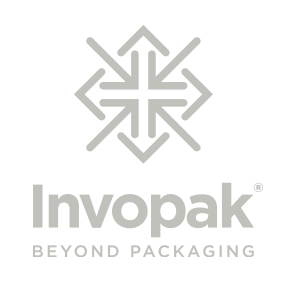 Invopak is a registered trading name of Involvement Packaging Limited, a company registered in England and Wales (registration number 01605376), whose registered office is at Countrywide House, 23 West Bar, Banbury, Oxfordshire, England OX16 9SA. We own and operate the website www.invopak.co.uk (our Site). If you have any queries relating to data collection or our use of your personal information please email sales@invopak.co.uk or call us on 0161 366 4451. (a) Information that you provide by filling in forms on our Site. This includes information provided at the time you register to use our Site, subscribe to any service we provide, request a quote, place orders or make any request relating to an order, or request further services from us. The information you provide may include your name, company name, address, telephone number, email address and bank or payment details. (b) Information that you provide when you enter a promotion sponsored by us, complete any (optional) surveys that we use for research purposes and when you report a problem with our Site. (c) If you contact us, details of and relating to that correspondence. (a) Make this Site available to you and to provide you with content which is tailored to your individual tastes. (b) Process any order or enquiry by you. (c) Provide you with services that you request. (d) Research including, where you have given us your consent, to ask you to complete surveys that we use for research purposes, although you do not have to respond to them. (e) For statistical purposes to establish the popularity of product ranges. (f) To administer our business. (g) Where you have given us your consent, to notify you of any product developments which may be of interest to you. (h) Where you have given us your consent, to contact you (including by SMS and e-mail) with products and services which we think may interest you. (i) Where you have given us your consent, to disclose your personal information to carefully chosen third parties so that they may contact you (including by SMS and e-mail) with products and services which they think may interest you. Information may be stored manually or electronically. Any personal information you give us will be stored and processed in accordance with applicable data protection and privacy law in the UK. At times, we may record phone calls for training purposes, the data recorded in these conversations will be stored securely in line with the UK Data Protection act of 1998. We will not record payment details during these calls to comply with PCI DSS Regulations. All information you provide to us is stored on our secure servers. Where we have given you (or where you have chosen) a password which enables you to access certain parts of our Site, you are responsible for keeping this password confidential. This includes giving your login details to persons inside your organisation to place orders in your absence. The data that we collect from you may be transferred to, and stored at, a destination outside the European Economic Area (EEA). It may also be processed by staff operating outside the EEA who work for us or for one of our agents or suppliers about the purposes above. Such staff may be engaged in the fulfilment of your order, the processing of your payment details and the provision of support services. By submitting your personal data, you agree to this transfer, storing or processing. Unfortunately, the transmission of information via the internet cannot be guaranteed to be completely secure. Whilst we take appropriate technical and organisational measures to safeguard the personal information that you provide to us and we will do our best to protect your personal data, we cannot guarantee the security of your data transmitted over the internet to us or our Site; any transmission is at your own risk. Once we have received your information, we will use strict procedures and security features to try to prevent unauthorised access. There may also be circumstances where we may share some of your data with third parties for the purposes of completing any transaction with you (e.g. credit card details will be shared with our agents, including but not limited to banks and credit reference). (c) With your consent to research companies whom we may ask to contact you directly for your opinions on our products and services. (d) With your consent to companies whose products we think may interest you.. If you do not wish for us to share your details with any third parties please e-mail sales@invopak.co.uk or write to us at the address above with your full name, address and postcode. We will not otherwise disclose, sell or rent your personal information to any third party unless you have consented to this. If you do consent but later change your mind, you may contact us and we will cease any such activity. (b) the right to ask us to update and correct any out-of-date or incorrect personal information that we hold about you, or to delete your information, free of charge. (c) the right to opt out of any marketing communications that we (or any third party to whom we have disclosed your personal information with your consent) may send you or to withdraw your consent to any processing activities undertaken by us. Would you like more information on our Terms and Conditions?